You will be met at the airport, transferred to your hotel, and have a good rest for your next trip. Your full day trip begins with Tian'anmen Square, which has witnessed the foundation of People's Republic of China. 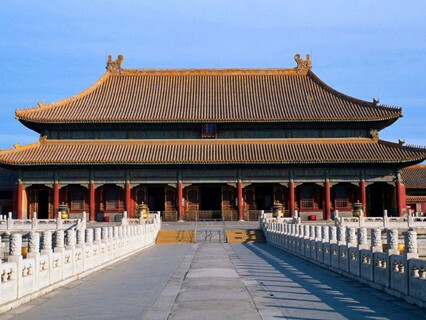 Next to it is the Forbidden City, the largest imperial palace in China during the Ming and Qing dynasties with a history of around 600 years. Then go to the Silk Store and the Temple of Heaven, the largest ancient imperial worship architecture group in the world. Here the Emperors showed their homage to the God and praised the blessings and peace in the next year. In the evening (7:15~8:30PM), enjoy the Peking Opera Show or Chinese Acrobat, or Chinese Kongfu show. Choose one show from these three options, depending on your interest. 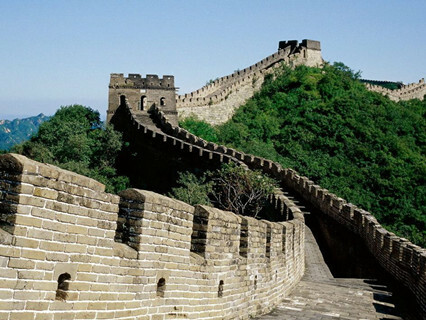 The highlight of the day is Badaling Great Wall, one of the seven wonders in the world and the symbol of China. (60 miles away from downtown, about one and half hour's drive.) Then visit Jade Factory and have lunch. 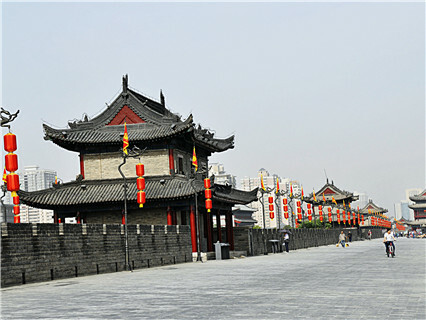 Then drive to Ming Tomb(Dingling) and the Sacred road. 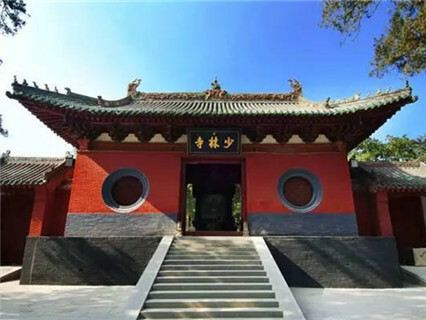 Dingling Tomb is the only underground tomb of the thirteen tombs of the emperors in the Ming Dynasty. On the way back to downtown Beijing, the car will stop for an outside look at the Olympic Stadiums- Bird's Nest and Water Cube. You have chance to appreciate its distinctive appearance. 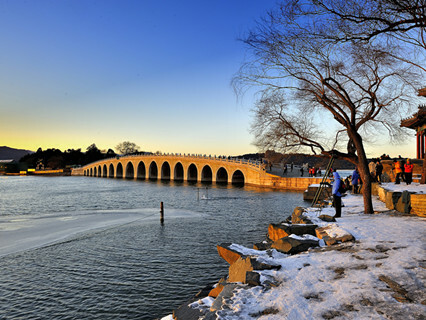 Visit the Summer Palace, the largest and best-preserved royal garden in China with a history of over 800 years. Then have a tour to Beijing Hutong. A hutong tour may help you to take a closer look at local life here. After the tour, you will be transferred to the train station and take a soft sleeper train by K1363 ( 22:06-7:44) for Luoyang. Upon arrival in Luoyang, our local guide will meet you and transfer you to the hotel. After a simple breakfast, we will visit Longmen Grottoes, White Horse Temple and the Luoyang Museum. 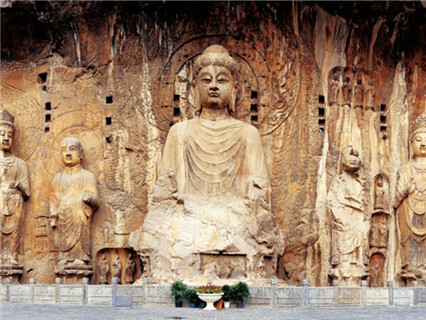 Longmen Grottoes are known at home and abroad for their large numbers, massive scales, variety of subjects, delicate carving and profound meaning. They are an outstanding manifestation of human artistic creativity and prove how marvelous a place can be made by pursuit of excellence and dedicated hard work. White Horse Temple is the first Buddhist temple in China, established in 68 AD under the patronage of Emperor Ming in the Eastern Han dynasty capital Luoyang. Early morning, visit Shaolin Temple, located in Dengfeng County, Henan Province, famous for Shaolin Wushu (martial arts), built in 495, the 19th year of the reign of Emperor Xiaowen of the Northern Wei Dynasty. Then you will watch a Kongfu show, Temples and courtyard of Shaolin temple will draw your attention, you will be totally engaged by very traditional Shaolin culture. After the tour, drive back to railway station for fast train G823 (17:49-19:29, second class seat) to Xian. 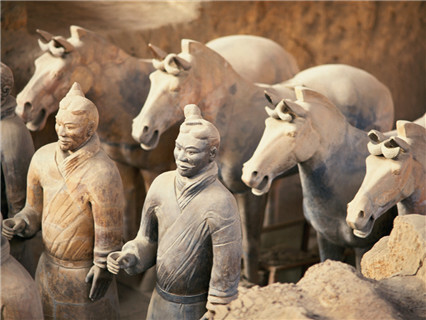 Visit Banpo Museum, Underground Palace, The Museum of the First Qin Emperor's Terra-cotta Warriors and Horses the greatest archaeological findings of the century: the army of terra-cotta warriors and the bronze chariots entombed in vast underground vaults at emperor Qin's tomb. Morning, local guide will meet you at the exit of the train station. Then have your breakfast around the station. Full day trip to visit Shanghai Museum, Yu Garden, Oriental Pear TV Tower, the Bund and Nanjing Pedestrian Street. Shanghai Museum is the biggest museum in China, with a collection of over 120,000 pieces of Chinese art and cultural relics. The museum is especially famous for its treasures of bronzes, ceramics, paintings, and calligraphy. Yu Garden is characteristic of the architectural style of the Ming Dynasty and it used to be a private garden with 400 years' history. In front of the garden, there is a market called Yu Market. 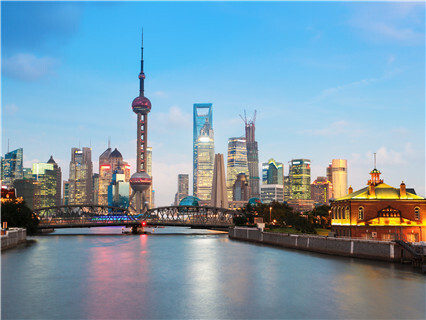 Standing by the Huangpu River with 468 meters high, Oriental Pearl TV Tower is the highest TV Tower in Asia.Jade Buddha Temple and Nanjing Road Pedestrain Street with lunch included. The tour will be finished in the late afternoon. Hotel accommodation based on 2 persons sharing one room. Tips for tour guide and driver. 2. When you arrive in Beijing, our tour guide will call you the night before the tour, if you are not in hotel room, we will leave a message in your room, to inform the time to pick you up on the next morning. Enquiry : I am from Colombo,Sri Lanka.please let me know if you provide visa or visa assistant to China. Enquiry : Can I add a trip Chengdu to the tour? What would the cost be? Could we get to Chengdu by train? Does the price include hotel, train tickets, and entrance fees to the activities? Reply : hello, thanks for your inquiry, what stars hotel would you like , and which city would you like to visit,and what transportation would you like , by train (bullet train or overnight train ) or flight , then i can make an itinerary for you , thanks.